Then Our Wedding Cheese Cakes are for you! Delightful, amazing, scrumptious wedding cakes made out of cheese. We can cater for all numbers and all budgets. We can build cakes with your favourite cheeses in (as long as they tier correctly!) and add biscuits, chutneys, heart shaped bries, pork pies - the list is endless. And we opened one of the first Speciality Cheese Shops in the UK to do so. 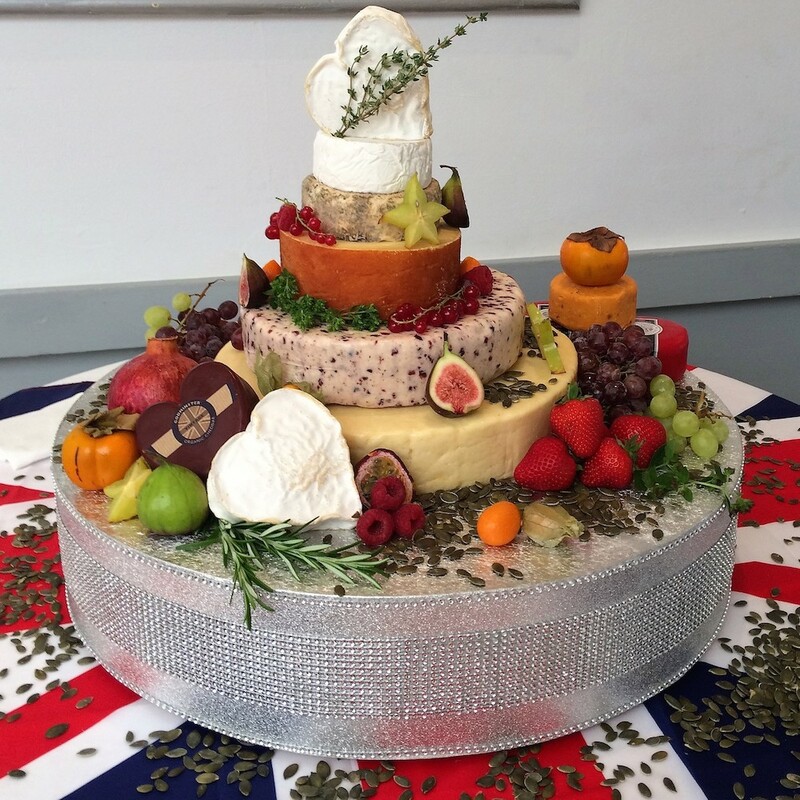 We have a broad selection of Wedding Cheese Cakes for you to purchase "off the peg" – if you would like to change any of the tiers or add anything to the Wedding Cheese Cake, then please give John & Jules a call on 015242 76224 and we will chat things through with you. All of the prices on our website include delivery to anywhere within the mainland UK and, importantly, all of the decorations are included too. The wedding cheese cake was fantastic and much admired. One lump of cheddar and stilton left but everything else went so obviously popular! Thank you so much for your time and care in providing this excellent service. The Churchmouse supplied our wedding cheese cake and it was spectacular! We were absolutely thrilled with it and all the different cheeses we chose were just perfect. So pleased with the service so far, we ordered our cake yesterday and I received the receipt through the post today which was super quick! Loved the tasters at the wedding fair and can’t wait to try it all again so we’ve booked more cheese for Christmas to see us through to the wedding next September! Thanks to John for all your help!